Panchgani has so many places to see and experience that holidays here usually just fly away. But if you have the mood and time for slightly longer drives, the destinations are just as beautiful as the drives. There is just so much variety here. From scenic view spots to religious sites and amusement parks, you get everything here. About 45 minutes from Ravine Hotel, following the Panchgani Mahabaleshwar road, you reach Venna Lake. 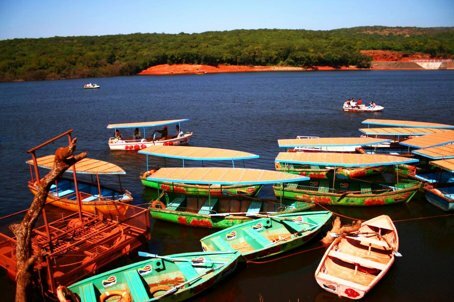 This pristine blue lake is Mahabaleshwar’s pride and glory. You can peddle boat here, or row your own boat if that’s what you prefer. There are horse and camel rides in the vicinity. Scrumptious street food is everywhere and all this is right there in nature’s lap, with the free birds and bees all around. On the way to Venna Lake, you can check out the Parsi Fire Temple, which is right on the road on the Wai-Panchgani Road, next to Il Palazzo. 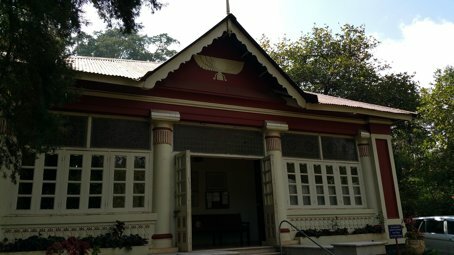 Initially, Panchgani’s Parsis had their Fire Temple near the graveyard, but after a generous contribution by one Mr. Seth Nanabhoy Choksy the current Fire Temple was constructed. The Mahaganapati Mandir in Wai is about a half hour drive from Ravine Hotel. 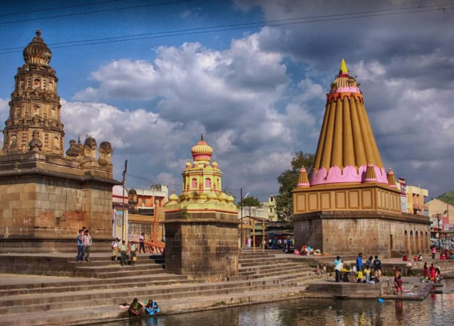 It is a peaceful and serene temple by the banks of the river Krishna but it is better known for the massive Ganesha idol (Dholya Ganapati) that resides there. Built during the time of the Peshwas this historical temple has stood tall proudly, paying no need to passing time. It is still well maintained and the modak prasads on Chaturthis will have you going there again and again. 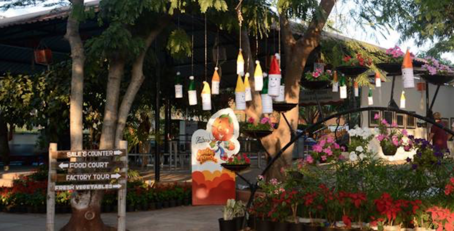 Thirty minutes from Ravine Hotel, on the Wai-Surur Road, is Mapro’s Food Park. This is one of Mapro’s factories and factory tours can be availed to get a glimpse into the processes that go into making their products, namely jams, jellies, chocolates and syrups among others. There is a small theatre that plays the Mapro story for those who wish to know. The cafe area has delicious sandwiches and pizzas, and you can end your trip with a tour of the shop. The shop allows you to taste all Mapro products before you buy them.